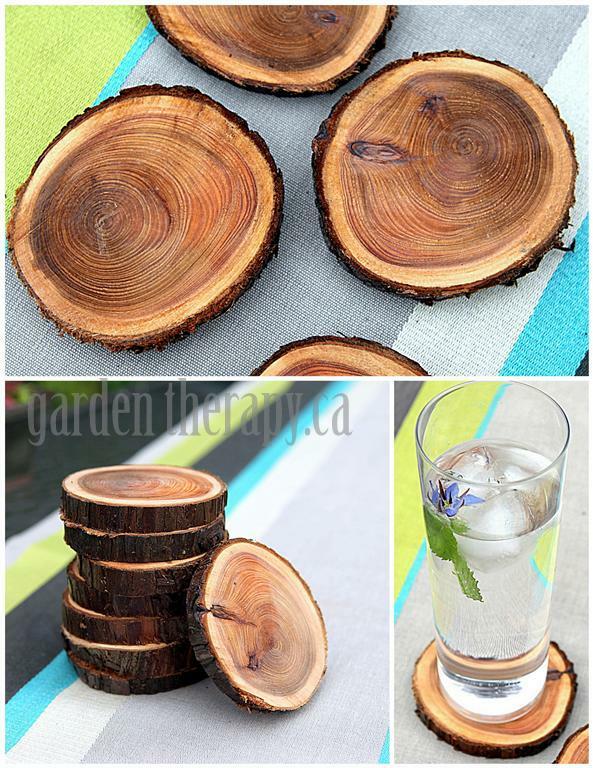 I am tempted to make these Natural Branch Coasters. All you do is cut a log to coaster-sized wood slives and paint with varnish. These wood look great on the backyard patio set. Great idea.